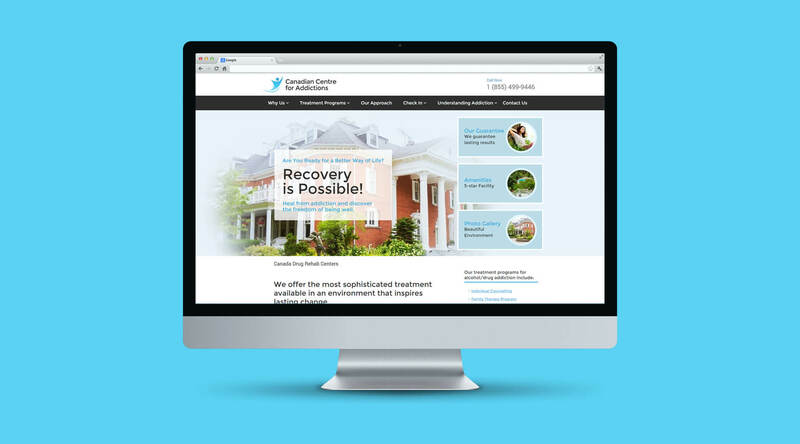 The Canadian Centre for Addictions is a private rehab facility for people with alcohol or drug dependencies. 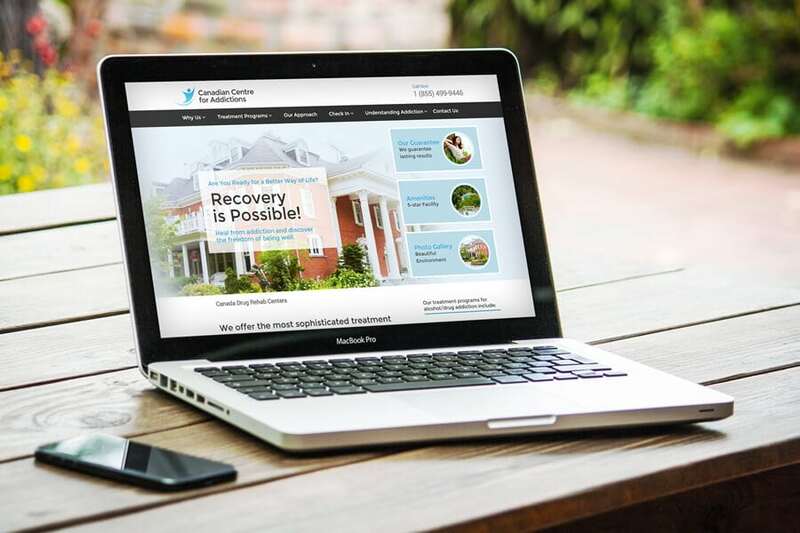 They needed a website that would connect with people in crisis, so Convergine created a clean, highly visual, interactive site design to do just that. Whenever someone logs on to CCFA’s website, a pop-up asks them to identify their issue (alcohol, drugs, both, or other). Trained staff then start a live chat right on the site, asking if they can help and answering any questions the visitor has. 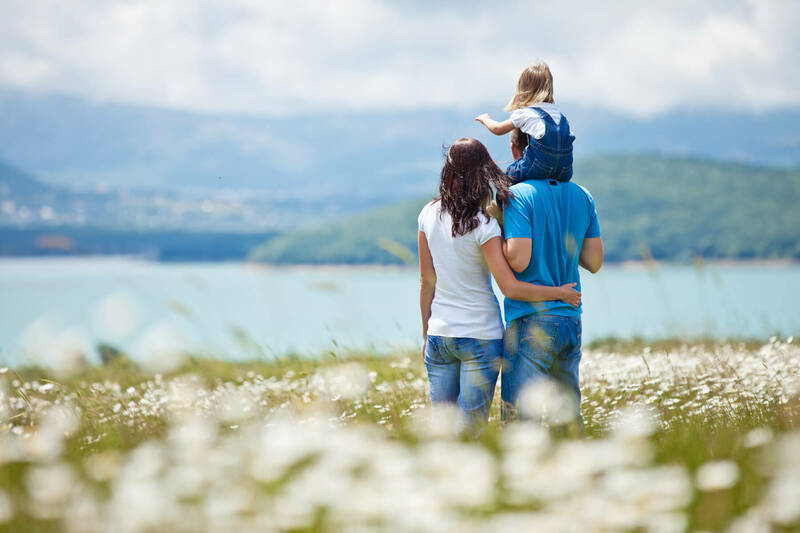 Right away, visitors see the caring, individualized attention that makes CCFA different, and people in crisis get the guidance they need to make a decision. 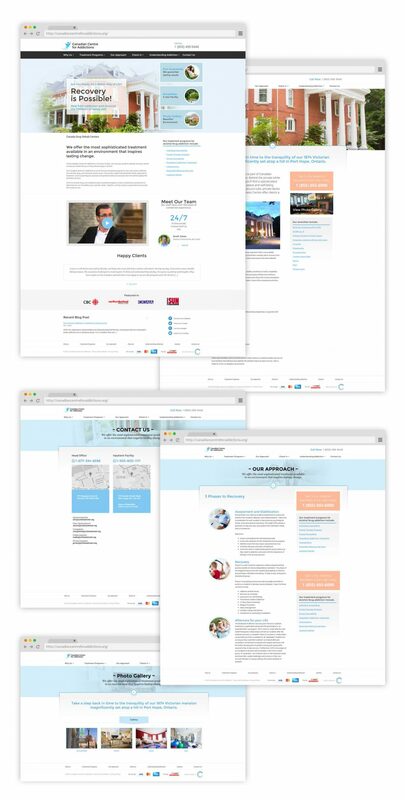 Any business likes to get qualified leads from their website, but for CCFA, conversion is a matter of life and death. Without treatment, many addicts suffer serious health consequences. An immediate, personal response increases the chances that a person will seek treatment. Visitors to CCFA’s site are encouraged to call their addiction specialists. A banner at the top of every page promotes the free, fast assessment by addiction professionals, and the toll-free phone number is prominently displayed throughout the site. 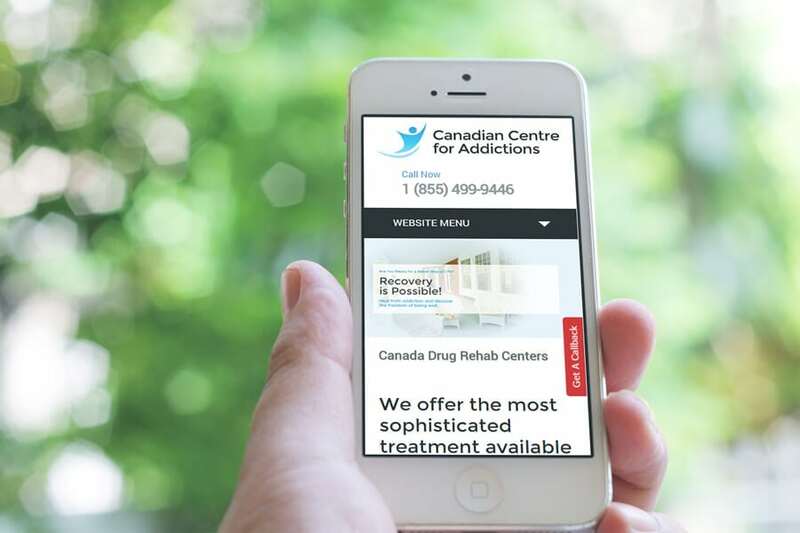 Visitors can also request a callback from an addictions counsellor. Seeking treatment, either for oneself or for a loved one, is often a difficult step, so it’s important that people encounter as few barriers as possible to getting help. 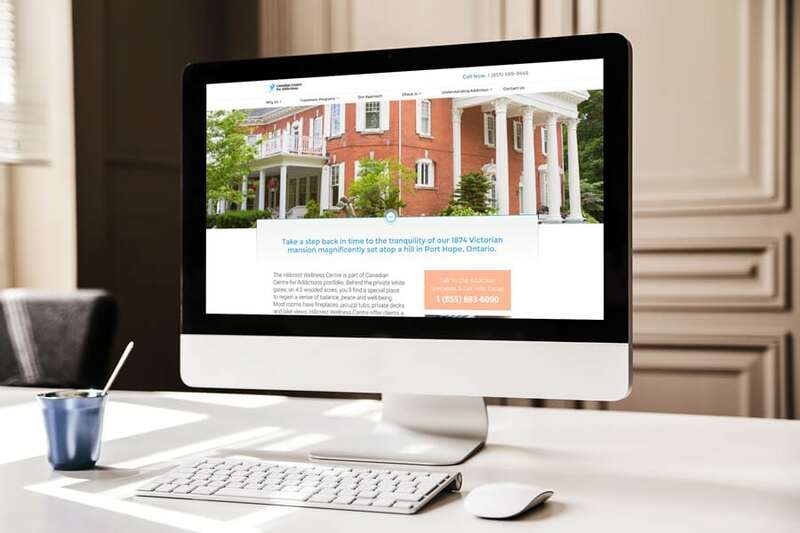 In addition to the live chat and prominent calls to action, CCFA’s website offers a clean, visual design that won’t overwhelm users. Visitors are greeted by a soothing light-blue colour scheme and prominent images. Content is presented in small chunks to guide users bit-by-bit towards what may be the most important decision of their lives.